You'll love this rustic oatcake recipe - thin and crispy while full of wholegrain oats! 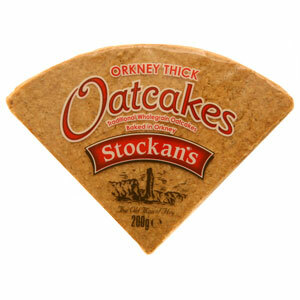 Stockan's from Stromness, Orkney hand bakes these thin quarter round oatcakes. Each 3.5 oz. 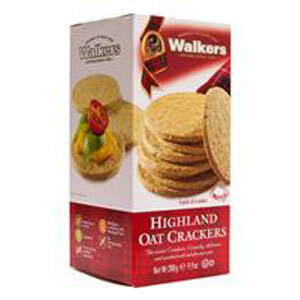 package holds eight 3" wedge shaped oatcakes. Perfect with cheese, marmalade, jam, honey or just plain. 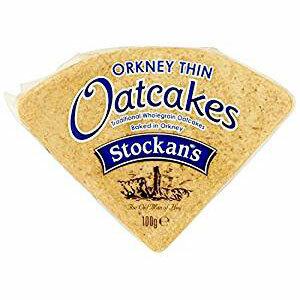 These oatcakes are delicious (no sugar in them) and bring me back to the Northern Isles. Service was prompt and accurate. These oatcakes remind me of Scotland. They're tasty enough to eat plain and perfect for just about any topping. I love them would like to buy them by the case if possible.